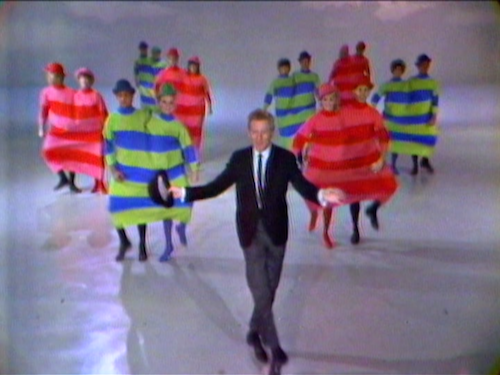 Last year, MVD put out a two-disc, six-episode sampling of singer-dancer-comic Danny Kaye's 1963-67 variety show under the moniker The Best of the Danny Kaye Show. This year, the company has a new two-disc set featuring another batch of six episodes from the show (only 100+ more shows to go! ), with a slightly more specialized title: Danny Kaye - Legends. True to that title, the set highlights moments when Kaye shared the stage with showbiz hall-of-famers like Lucille Ball, Tony Bennett, Shirley Jones, Liberace, Louis Armstrong, and George Burns, among others. You might have noticed from those names that this set is tipped slightly more in favor of music than comedy, which, considering the spotty writing in this particular batch, is probably for the best. 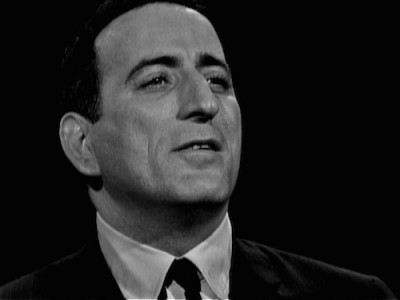 The next episode features musical headliner Tony Bennett, introduced by Danny as having "the wonderful knack of making any of the songs he sings his own private property." He's not wrong either, as it's hard to take your eyes off of Bennett as he runs through three numbers, "Autumn Leaves," "Who Can I Turn To?," and a swinging take on "Anything Goes." Guest comic Imogene Coca (best known, of course, for Your Show of Shows) fares far worse, thanks to some iffy sketches parodying Swan Lake and Gilbert & Sullivan. In fact, the only thing that saves that latter sketch -- a not-great mash-up of H.M.S. 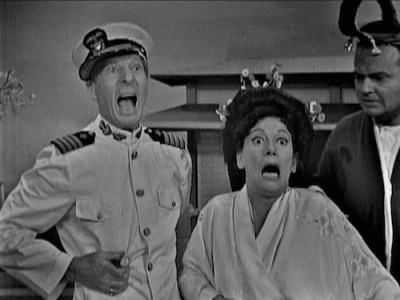 Pinafore and The Mikado -- is show regular Harvey Korman's misbehaving facial hair, which inspires both some lovely corpsing and some self-aware ad-libs about the sketch collapsing before the performers' very eyes. 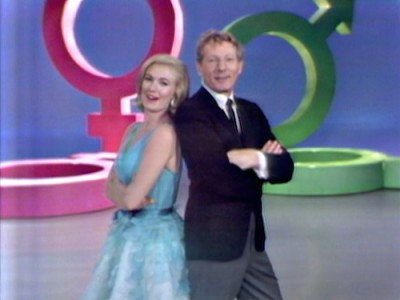 The last episode on the first disc jumps ahead, into the series' color years, for an episode headlined by The Music Man's Shirley Jones and The Righteous Brothers. This episode is themed around the battle of the sexes and has some cute bits, like an anachronistic look at Adam and Eve and a "trial of the century" meant to settle the man/woman dispute for good. Unsurprisingly, it doesn't. And unfortunately, the show doesn't have a particularly unique or interesting take on the subject either, although Danny and Shirley are quite funny in a sketch where he plays a commitment-phobe who is bullied into proposing marriage to his long-time girlfriend. 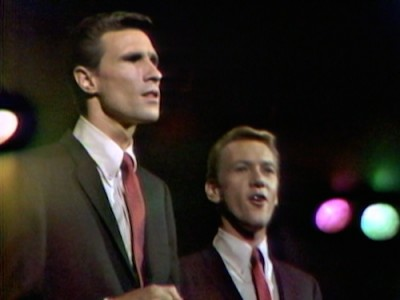 Meanwhile, The Righteous Brothers perform two songs, including a first-rate rendition of "You've Lost That Lovin' Feelin'." The episode ends with a slightly strange segment where Danny interviews a young Japanese woman from the audience who doesn't completely understand everything he is asking her. 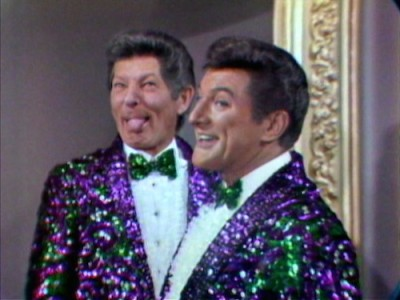 Liberace takes the spotlight in the next episode, doing both a little comedy and a little music. He plays a spy mastermind in a James Bond parody, wiring up his piano to trigger a nuclear blast when the melody of "London Bridge is Falling Down" is played. Danny is the bumbly James Blond who happens to know that tune all too well. 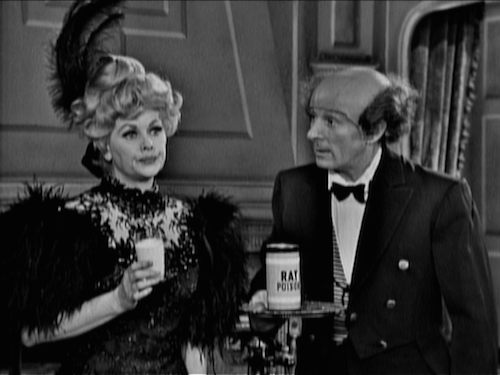 Danny also offers some chuckles and some pathos in a sketch where he plays an old Italian tailor who thinks his grown son and daughter-in-law (played by Harvey Korman and Joyce Van Patten) don't want him living with them anymore. Rather than be a burden, he moves into a hyperbolically teeny-tiny, run-down apartment. The vivacious Vikki Carr is also on-hand for a few musical numbers, and Danny closes the show out by chatting with four-year-old child actor Victoria Meyerink on his lap. Next is one of the most consistent episodes in the set, with guest star Louis Armstrong. Louis does a few numbers with a band, both singing and trumpeting, and he has a nice duet with Danny on "When the Saints Come Marching In," with re-written lyrics about classic composers. 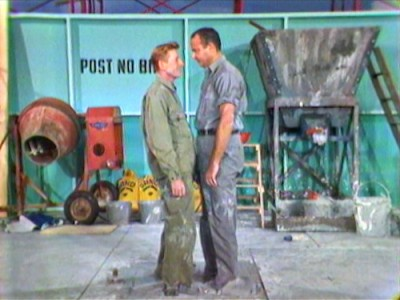 Comedy-wise, the episode has a nice slapstick setpiece, with Danny and Harvey Korman as workmen pouring a new patch of concrete that they end up stuck in. There's a nice bit of verbal comedy too, with Danny telling the "Mexican version" of an old classic, now titled "Jose and the Beanstalk." Danny naturally indulges in one of his many now-questionable ethnic accents for this piece, but thankfully the jokes don't depend on uncomfortable stereotyping. Later, singing and dancing twins Alice and Ellen Kessler perform "The Boy from Ipanema," and Danny checks in with little Victoria Meyerink at the end of the show. The last episode in the set probably has the biggest laughs, courtesy of guest star George Burns. He first appears in a just-okay sketch in which he tries to teach Danny's shy Jerome character how to be a comic "top banana," but he closes out the episode in top form. 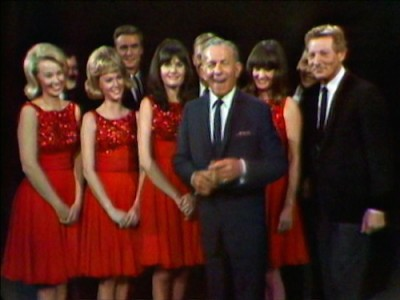 George shares quite a few well-crafted anecdotes (of questionable veracity) about showbiz and his pal, Jack Benny, before leading a chorus of singers through extremely expurgated versions of a few different songs. 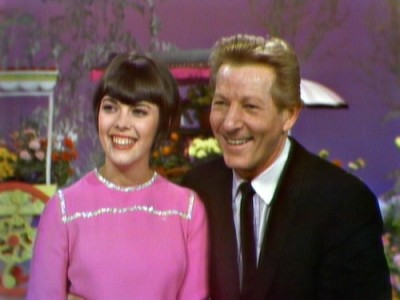 Chanteuse Mireille Mathieu sings a few numbers in her native French tongue, then Danny says he will translate the lyrics of one of her songs as she sings it. He then proceeds to spout semi-nonsense phrases after every line like, "And so Mickey Rooney rode into the sunset on a police dog" and "This song is not in French, it's in Italian." It's a highlight certainly. 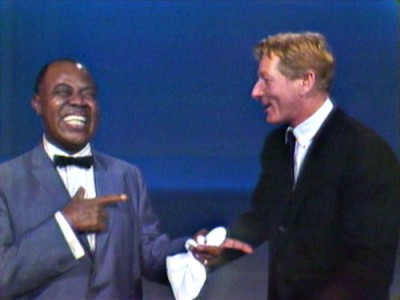 Danny Kaye - Legends comes in a 2-disc set, with three episodes on each disc. Both discs are housed in a standard-sized keepcase. All six episodes are presented in standard 1.33:1 presentations. Much like in last year's Best of set, the black-and-white episodes boast better clarity than the smeary, noisy color episodes. Unfortunately, the black-and-white episodes look slightly poorer this time around too, with some noticeable blockiness and jagged lines that look to be the product of the digital compression and not on the original analog source tapes. Anyone familiar with shot-on-tape shows of this era will not be surprised by the overall look of this presentation, and it's certainly watchable. Once again, the audio seems to have held up much better than the picture as the show's Dolby 2.0 mono mix doesn't suffer from too much damage or excessive hiss. It's not as crystal clear as most modern recordings, but it's quite good for its age. No subtitles or captions. There are no bonuses exactly, but the discs do offer the ability to watch just the musical performances, either separately or all together with the "play all songs" option. 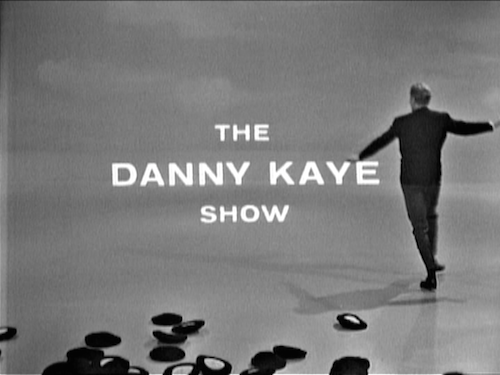 The Danny Kaye Show is a lot of fun, and I hope they keep putting out DVD releases of the show (although maybe at a slightly faster pace?). 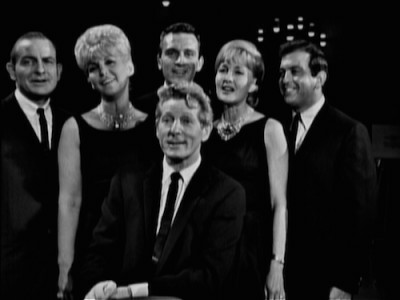 Legends is a little more hit-and-miss than the Best of the Danny Kaye Show set that was released last year, but all of the included episodes have some true highlights -- and those last two episodes are out-and-out hysterical. Recommended.